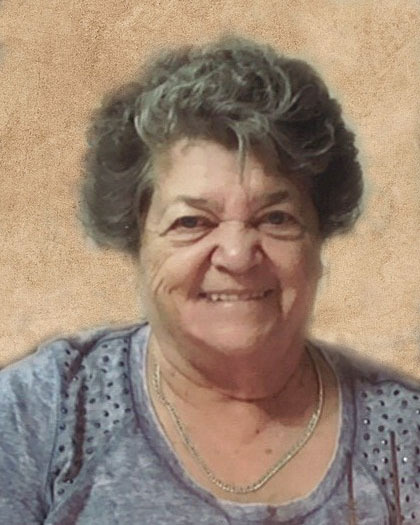 RoseMarie Melnychuk passed away on February 6, 2019 in Vermilion at the age of 77 years. She will be lovingly remembered by her husband of 56 years Walter; children Melonia (Robin) Nicol, Myron (Colleen), Marvin (Kim), and Melinda (Jim) Zaharko; grandchildren Trentyn and Chelsey; siblings Alvin (Jeannette) Logozar, Margie (Richard) Kropiniski, and Rodney (Mona) Logozar; sister in law Pat Logozar; as well as numerous nieces, nephews, relatives and friends. She was predeceased by her parents William and Mary Logozar; brother Danny Logozar; and infant brother Walter Logozar. A Divine Liturgy and Funeral Mass will held at St. Olga Ukrainian Catholic Church, Vermilion on Monday, February 11, 2019 at 11:15 a.m.
Memorial donations may be made to Friends of Vermilion Health Centre (Long Term Care), St. Olga Ukrainian Catholic Church or charity of one’s choice.